Dating back to the first centuries of Christianity, the complex took its present shape in the Middle Ages. A cultural monument, it remains a functioning monastery where nuns still live. “An earthquake brought down the arches of this cathedral in 1931; half a century later they were restored with historical accuracy,” reported euronews’ Denis Loctier. 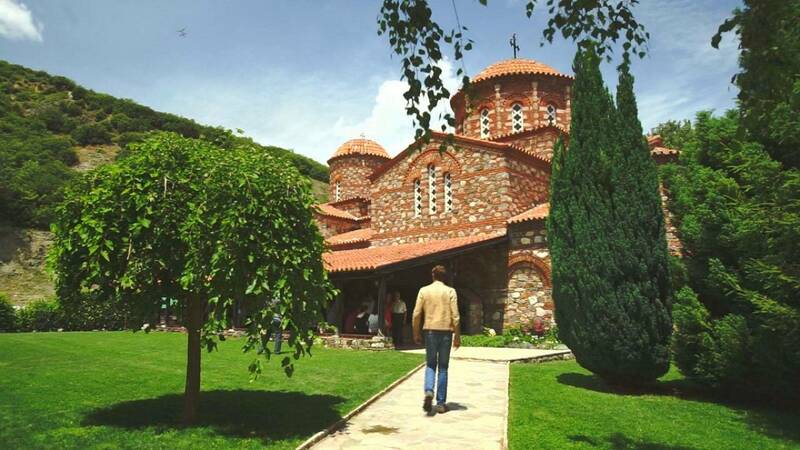 Rising near eastern Macedonian city of Strumica, the Vodocha and Veljusa monasteries welcome pilgrims and all admirers of religious art and history.